Our love of functional lunchboxes runs deep. Because who hasn’t suffered sandwich envy in the school yard before? Whether it’s lots of tiny compartments for those who like to graze, or space for a three-course meal, we’ve rounded up our favourite toxin-free, long last lunchboxes, for your culinary pleasure. Yumbox ticks all the boxes for us. 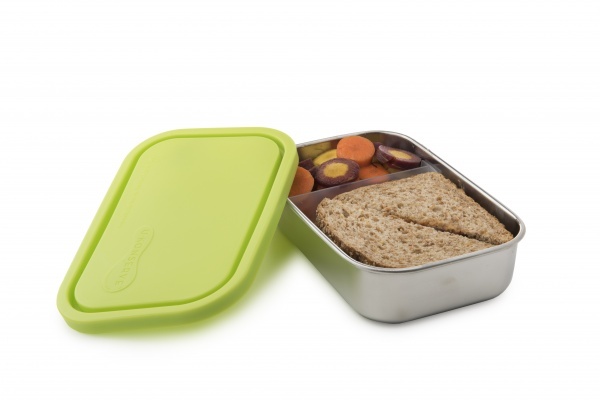 They come in a range of bright colours, are easy to open for little fingers and have just the right amount of compartments – space for a sandwich plus three extra snacks. While we prefer stainless steel over plastic, these are BPA and phthalates-free and very durable, our co-founder’s kids have had the same ones for two years and counting! These come in a range of sizes including two meal boxes which offer either lots of little compartments for those who like to pick, or three large compartments for hearty eaters. Made from stainless steel, Planetbox are dishwasher safe and come with a three year warranty. They are no-frills and built to last. Another stainless steel go-to. Made to last, these are the brainchild of Californian mum and entrepreneur Jacqueline Linder who wanted a non-toxic durable lunchbox option for her family. These aren’t just for kids, they’re designed with the whole family in mind. These clever little boxes have removable dividers which allow for a variety of fillings. From a sandwich and a piece of fruit, to a row of sushi. They’re the perfect no frills addition to any lunch drawer. *Your Zen Mama is not monetarily affiliated with Green + Simple or any of the products mentioned.